Come to the annual B96 Summer Bash featuring pop stars Jennifer Lopez, Pitbull, Chris Brown and many more at Toyota Park and stay at the nearby and affordable Best Western Inn Suites Midway Hotel! Chicago’s FM radio station B96 presents a pop party sponsored by Pepsi! The B96 Summer Bash on June 14 at 5 pm presents megastar actress, singer, babe and songwriter Jennifer Lopez. Jen will be singing her new hits, “I Lah Ya Pappi,” “Girls” and “Same Girl.” (See the hilarious YouTube bit of Jennifer explaining the lyrics to “Pappi,” to Jimmy Kimmel) Pitbull, the rapper not the dog, will recite his hit single “Wild Wild Love,” and other memorable songs from his seven albums. Chris Brown, the singer songwriter actor dancer rapper, will be doing one of those professions. Joining the headliners at B96 Summer Bash will be Jason Derulo (“Talk Dirty”), Austin Mahone (“MMM Yeah”), Little Mix (“Word Up”), Icona Pop (“I love It”), G.R.L. (“Wild Wild Love”), and Hot Chelle Ray (“Don’t Say Goodnight”)! 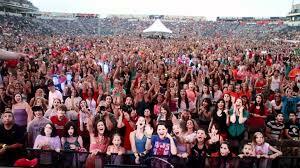 Fans, entertainers and athletes alike praise Toyota Park as accessible, friendly and fun. Toyota Park is at 7000 South Harlem Avenue, in Bridgeview. For tickets or more information, call (708) 594-7700. Best Western Inn Suites Midway Hotel offers affordable guest rooms, free breakfast, an indoor swimming pool and hot tub and a fitness center. Pets are welcome (Pitbull the dog, not the rapper will be staying in his room) and special AAA rates are available. Call the property direct at (708) 497-3000.